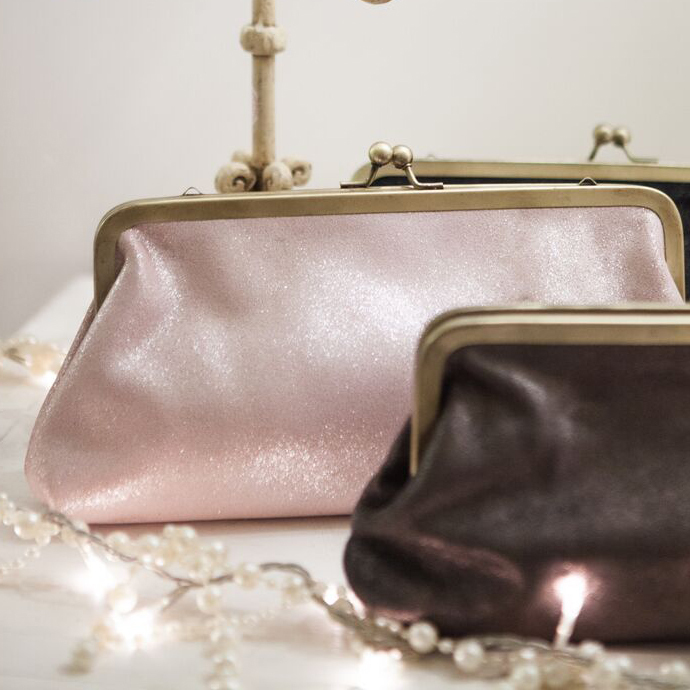 Beautiful large clutch bag in soft sparkly leather. It has a satin lining, a vintage style brass clip fastening and a detachable shoulder chain. Ideal for an evening out, or a special occasion. In Sparkling leather: Black, Black Copper, Grey, Pink Pearl. One size: Width 26cm x height 13.5cm, clip length 22.7cm.